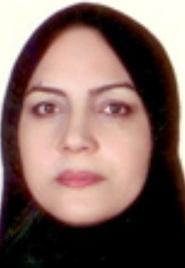 Dr. Minoo Shahidi is an academic member of Hematology group at the Iran University of Medical sciences (IUMS). During her several year career as a lecturer at IUMS, she published a number of books in field of Hematology. She also conducted some projects and received certificates of invention. In 2010, she achieved her Ph.D. degree in the field of cardiovascular disease from University of Surrey, UK. In addition to study, she continued to teach hematology, and other various related subjects at University of Surrey. In 2010, she joined to TUMS, as a lecturer, the deputy of international affairs office and international representative in innovation group. Currently, she is an assistant professor and the director of both the office of international affairs and learning management system in IUMS. At the moment, she collaborates with an international team to write an international book entitled Thrombosis and Embolism. She also dedicates herself in providing help to her postgraduate students as well as to professionals and offers tutorials to them to pass their thesis via her projects in field of Leukemia, hemostasis and angiogenesis. 4) hemostasis and angiogenesis fields.